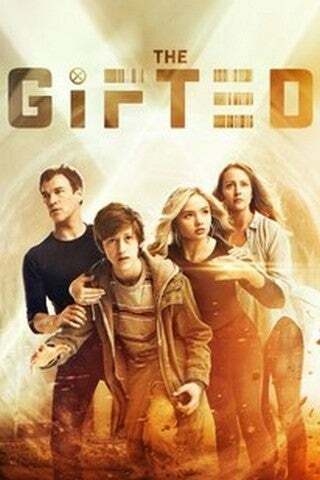 'The Gifted': What Are Hounds? In tonight’s episode, The Gifted introduced an important piece of X-Men history into the series. SPOILERS for The Gifted episode five, “boXed in,” follow. In “boXed in”, Polaris and Eclipse manage to turn the tables on Sentinel Services by capturing Agent Jace Turner. Turner resisted their attempts to extract information by conventional methods, so Polaris and Eclipse decided to call in some help from their fellow mutant underground member, Dreamer. The Hounds were introduced as part of the Marvel Universe in the “Days of Future Past” timeline, also known as Earth-811. In that timeline, the oppressive government that used Sentinels to force mutants into concentration camps also brainwashed certain mutants with useful tracking abilities so that they could be used to track down fugitive mutants. Even before tonight’s reveal, there were clues that the Hounds may be coming to The Gifted. The first was when Garret Dillahunt was cast as Roderick Campbell. In the “Days of Future Past” timeline, Campbell becomes the cyborg known as Ahab, the cruel master of the Hounds. The other hint was Pulse’s tattoo. The radiating black lines seem to be an homage to the face tattoos that Ahab used to brand the hounds in the “Days of Future Past” timeline of the comics. Another interesting feature of the tattoo is the bird-like shape in the center. Could this be a reference to the most famous Hound of the Marvel Universe, Rachel Summers, aka Phoenix, the daughter of Cyclops and Jean Grey of Earth-811? Thanks to the power of the Phoenix, Rachel was the only mutant capable of breaking the Hound mind-control, an act of insurrection for which she was punished with a trip to a concentration camp. This proved fortuitous for the mutants since she was then able to use her telepathic gifts to send Kate Pryde’s consciousness back in time to inhabit her teenage body as Kitty Pryde, kicking off the original “Days of Future Past” story.